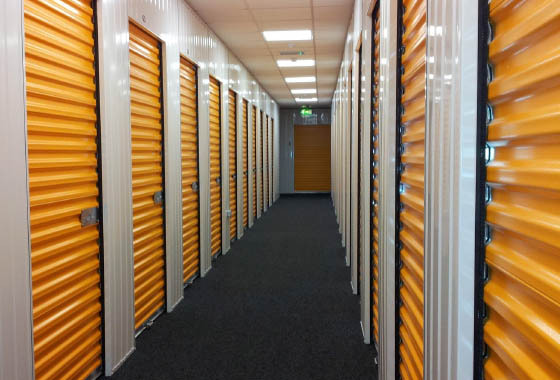 There are so many reasons why self storage can be the right choice for your business but whatever the reason we can offer a flexible storage solution to meet your needs. We can help optimise your space efficiency by providing only the amount of space you need, when you need it and most importantly- you can access it 7 days a week, and if required, additional hours by arrangement! Archiving is a necessary evil business but using self-storage you can make more productive use of your office space than by having a collection of archive boxes or POS material taking up valuable space. You shouldn't have to pay to access your archives, at House and Stock you have free access, 7 days a week during opening hours. Excess work desks, cabinets & seasonal equipment can take up space you don't need. Are you paying rent and rates for space that's not being productive. Seasonal stock fluctuations can mean excess storage capacity. Use House and Stock Self Storage to handle your seasonal stocks. Use our free Wifi and do stock checks, inventories and goods-in/out control. We can also handle goods-in requirements by arrangement too. POS materials, furniture, equipment, archives. There are many items taking up valuable space in offices. Why not get it out of the way but still have it accessible 7 days a week for those infrequent but important times when you will need them. Fire routes and exits in your work place blocked by stored items present both legal issues and potentially dangerous situations. Let us help you keep your workplace compliant. Are you paying rent for excess space just to meet infrequent stock fluctuations or missing the opportunity to rent out an office because you use it to store random items. Are you also paying rates for that space? For start-ups and e-commerce users: how much space do I need for my operation? Where do I receive goods in? We can provide the solution. Focus on growing your business and we can provide not just space but other support that you need to grow. We offer free wifi, hot desks, meeting rooms and a goods-in/goods-out service. We offer a unique and confidential ‘shred by the bag’ service. This service is ideal for small to medium size businesses and even for household paperwork.